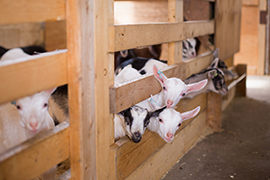 CHILLIWACK – Western Canada’s growing appetite for goat milk is sparking plans for a commercial dairy goat association. The proposal was discussed at the annual meeting of representatives from the 14 farms across BC and Alberta that supply Happy Days Dairies Ltd. in Chilliwack, November 11. Together, the farms milk more than 6,000 goats. The milk is processed at Happy Days plants in Chilliwack, Salmon Arm and Ponoka, Alberta. The annual meetings give producers a chance to discuss pricing, common challenges, see each other’s farms and contine learning from experts and each other. Koller says that as business operations became smoother, the meetings added an educational component to help producers build upon what had been accomplished. Run by Koller, Happy Days began milking 70 goats in 1993 and processing the milk itself. Today, it’s the largest goat milk processor in Western Canada, processing 3.6 million litres in 2017 and on track for 3.8 million litres in 2018. Goat milk has been increasing in popularity because it’s easier to digest for the lactose-intolerant and changing demographics mean Canada is home to more people who grew up with goats and are used to consuming the milk. The idea of a commercial dairy goat association for producers in BC and Alberta makes sense for the developing sector, says Merel Voth, who with her husband Barrie operates Hillside Dreams Goat Dairy near Salmon Arm. The couple have raised dairy goats for four years and see a bright future for the sector. Barrie is an advocate of classification for dairy goats, which he believes is fundamental when establishing a well-rounded breeding program. Similarly, a commercial dairy goat association would present a more credible image of producers as a unified group. “They are all external indicators of strength,” explains Merel of the two initiatives. Merel, 33, is a mother of two and a part-time social worker in addition to managing the farm. She birthed the association idea partly inspired by leadership at the October Women In Agriculture Conference in Niagara. Before the Happy Days meeting, she gauged interest by sending out a two-minute online survey. Responses were supportive. Once an association is formally constituted, Voth envisions a two-day annual meeting starting in 2018. The first day would be an association meeting with a business meeting on day two. She has secured $5,000 through the Growing Forward program under the BC Strategic Outreach Initiative Funding Program. 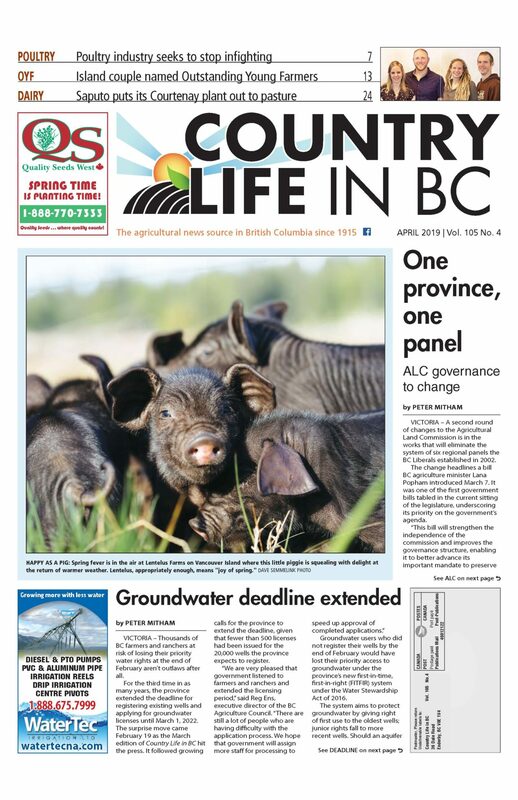 The new association would be open to all commercial dairy goat farms in BC and Alberta. The new association would also host webinars, a distance learning technology Voth is familiar with from her social work. The first is set for January 10. It will feature a two-hour session with Chris Clark, a professor of veterinary medicine at the University of Saskatchewan, regarding disease management and biosecurity in relation to milking. Voth’s efforts have support from other producers. Koller has long encouraged producers to organize but as the processor, he couldn’t be the lead. Tom Lesher, who with his wife Karen, milks 250 goats in Lacombe, Alberta in addition to operating a 3,000 head cattle feedlot, said the prospect of regular education sessions for producers is encouraging. While she’s hopeful about the association, Voth is also realistic. “Some people approached us to say they really want to move this forward. Other people said, ‘Oh, that’s a great idea,’ but it will be really interesting by the time we actually form an association with directors to see how many people are willing to step forward and do a job,” she says.